In the mid-twentieth century, Waco underwent major changes through the federally funded Urban Renewal Agency of Waco. Areas impacted included numerous city blocks between LaSalle Avenue and Waco Drive. 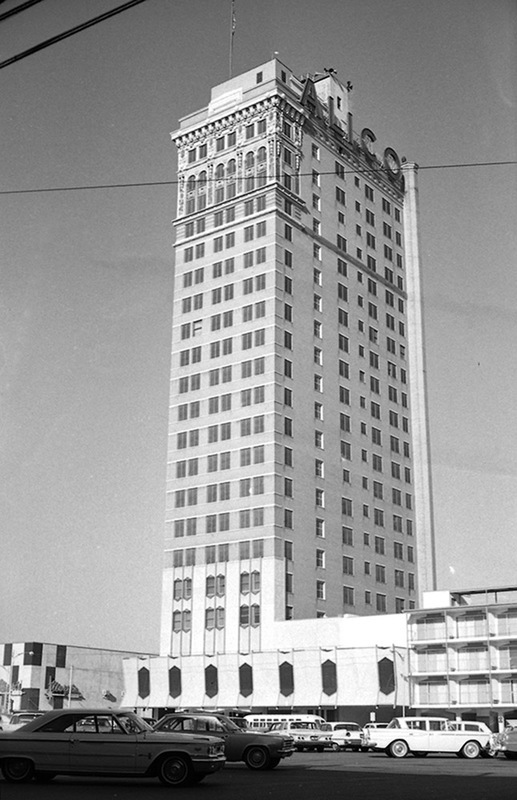 The project greatly affected the city’s people, businesses, schools, and buildings, including Waco’s most prominent landmark, the ALICO building. Between 1964 and 1966, the ALICO (American Life Insurance Company) building received major updates. 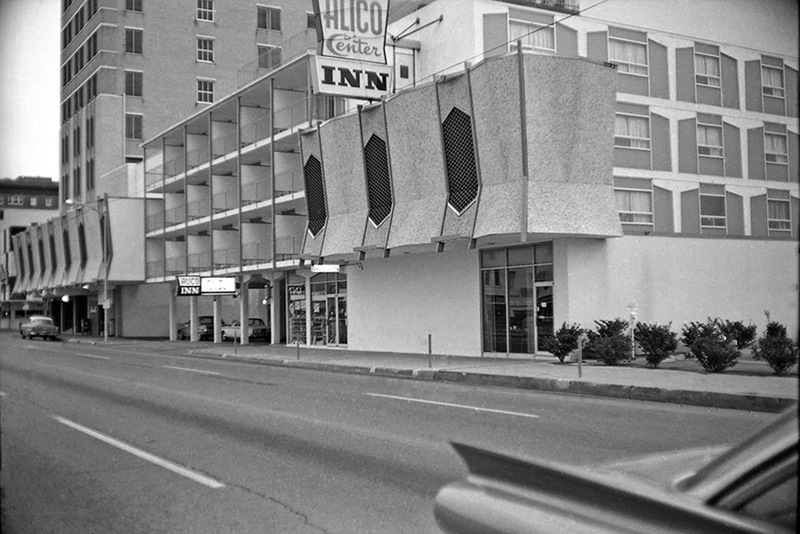 The largest and most significant addition to the structure was the ALICO Inn and its convention facilities. The 22-story ALICO building, originally known as the Amicable building, was completed in 1911, and designed by architects Roy E. Lane and Sanguinet & Staats. It stood as the tallest office building in the southwestern United States at its completion. 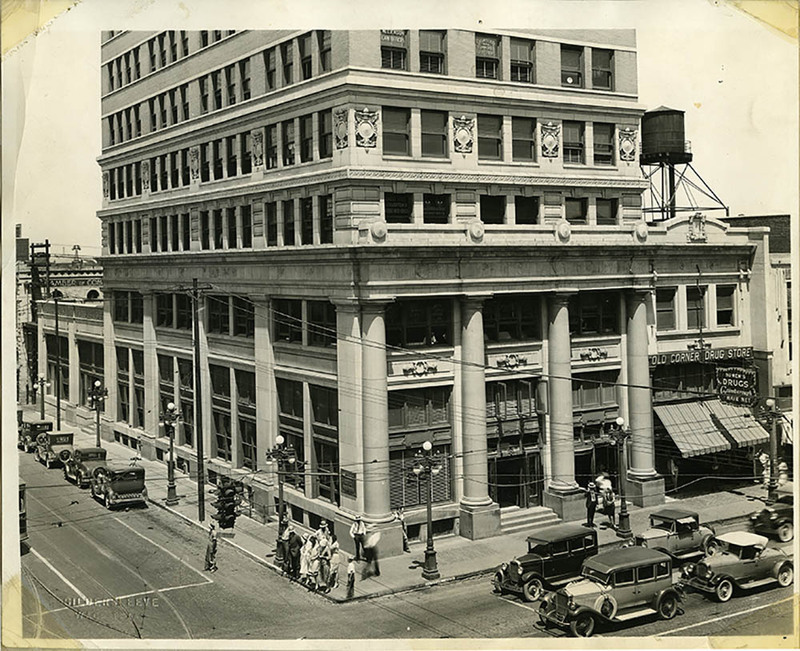 Once located in the central business district, it served as a vital part of the city’s economy. In order to remain that way, it needed to keep pace with the rapidly changing business climate of Waco in the 1950s and ’60s. 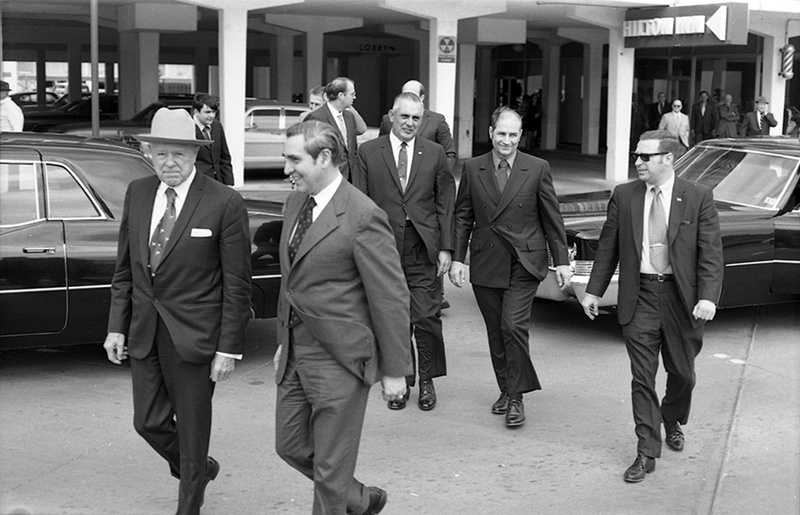 When completed in 1966, the ALICO Center Inn contained 115 rooms for overnight guests and a second-floor meeting room that sat 250 in a banquet or 1,000 to 1,200 people auditorium-style. 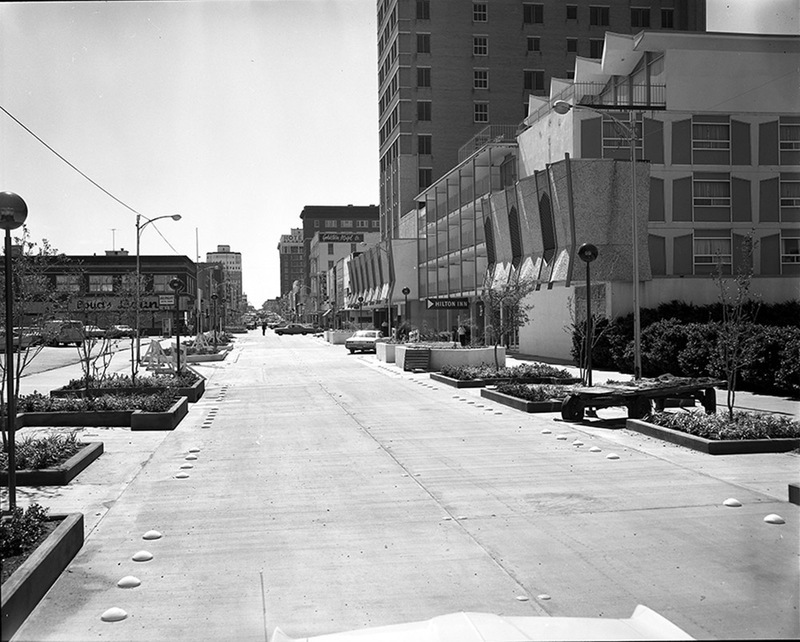 It was described as a “downtown motor hotel with convention facilities, a motor bank, and a five-story parking garage.” The ALICO Center was designed to match its changing surroundings, including part of Austin Avenue’s closure to make it into a pedestrian mall, another part of the Waco Urban Renewal Agency’s planning. The end result, completed in 1966, changed the design of the original 1911 ALICO building, with the new hotel, convention center, parking garage, and motor bank joined directly to it. As a result, the ALICO Center’s additions took up nearly the entire 400 block of Austin Avenue—stretching much of the complex back to Washington Avenue. The entire redesign of the 1966 ALICO Center seemed well balanced in appearance—and represented the mid-century modern architectural style frequently seen during the period. 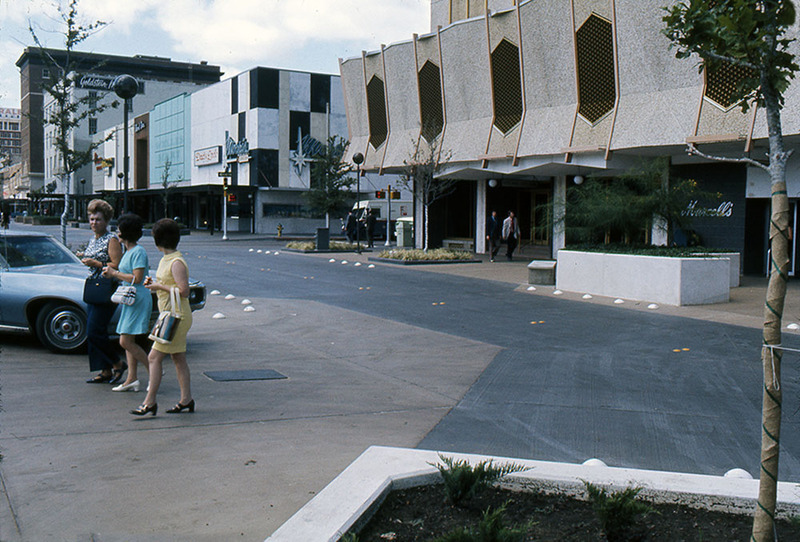 However, the ALICO Center as it appeared in 1966 is no longer. Like many other downtown businesses, the center struggled as many retailers moved out to the suburbs. 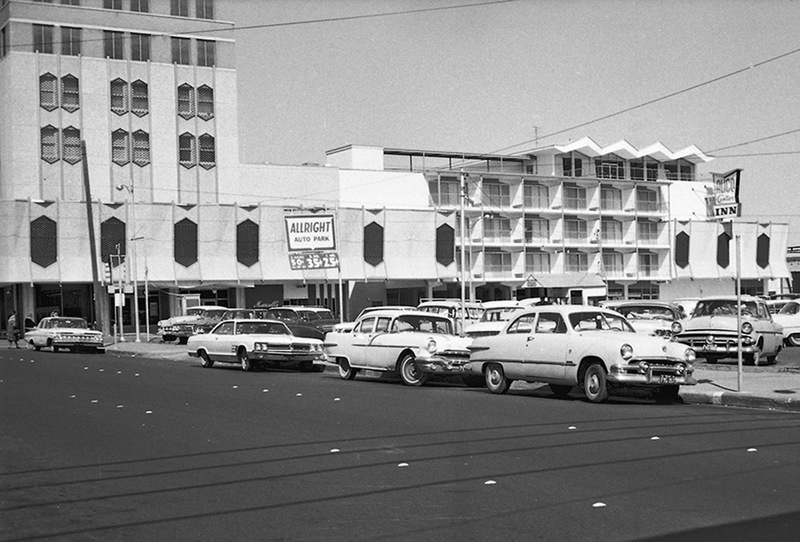 The hotel and convention center were demolished in the late nineties, and the space is now used as a parking lot. The main vintage 1911 building and parking garage complex remain and retain most of the later modifications, including much of the 1966 addition’s façade at street level, wrapping around Austin Avenue, the parking garage along Fifth Street, and back to the Washington Avenue side of the complex. 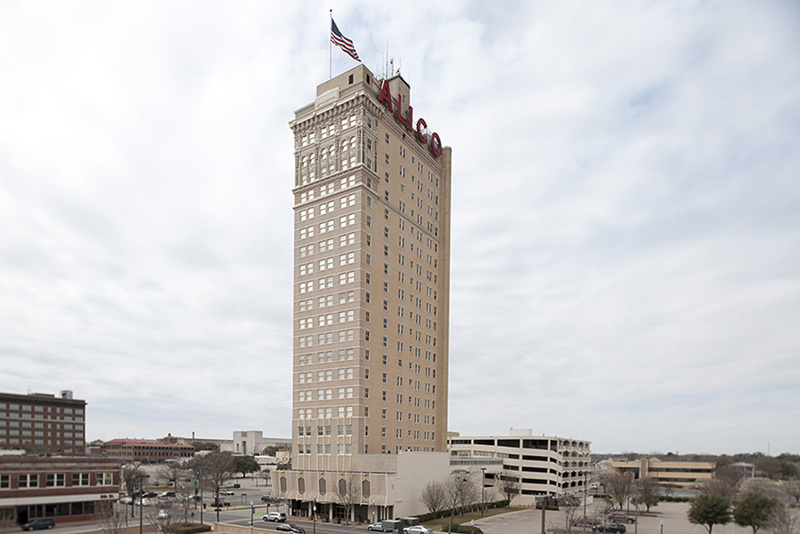 The ALICO building has stood for over a century, remaining a successful combination of old and “new.” Most importantly, it continues to serve as Waco’s most prominent downtown landmark. Geoff Hunt, “ALICO Center,” Waco History, accessed April 19, 2019, https://wacohistory.org/items/show/113. Hunt, Geoff. 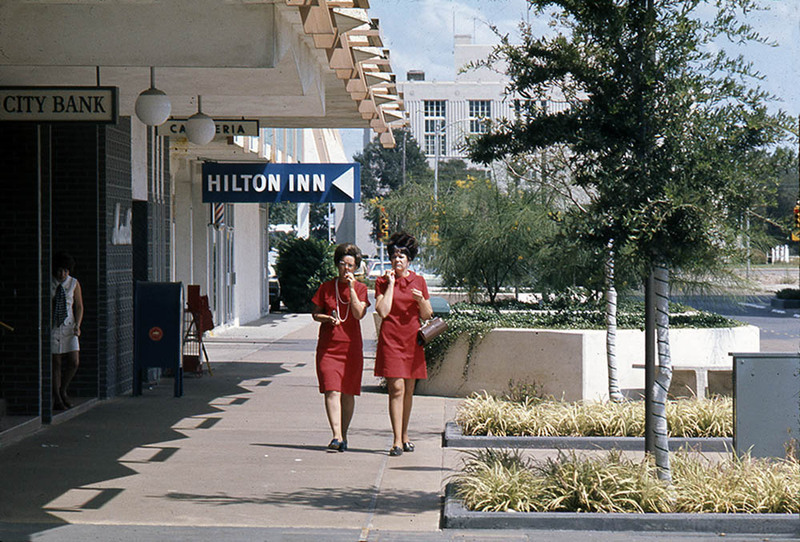 “1966: The Year Waco’s ALICO Building Meets Mid-Century Modern.” Texas Collection (blog). 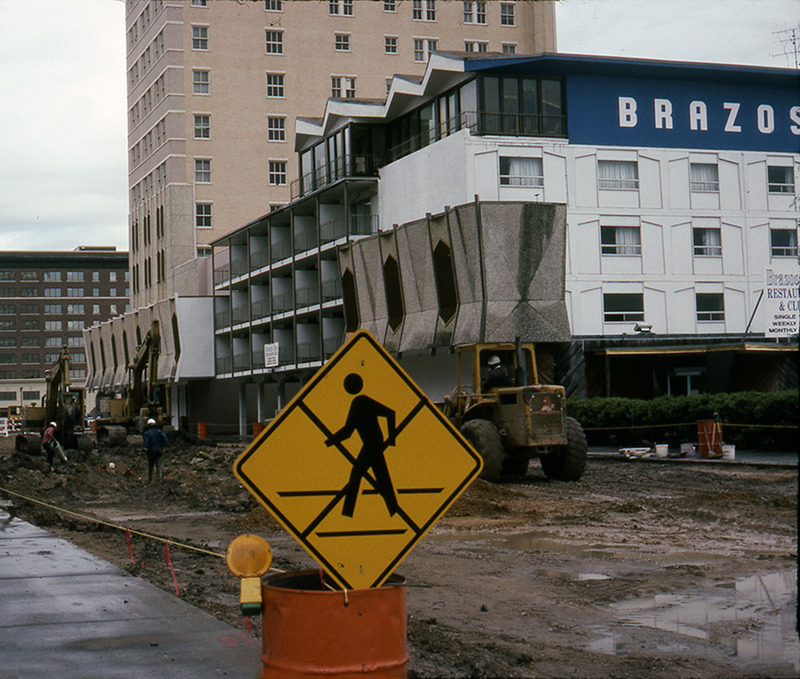 July 17, 2015. https://blogs.baylor.edu/texascollection/2015/07/17/1966-the-year-wacos-alico-building-meets-mid-century-modern/. Accessed August 18, 2015.